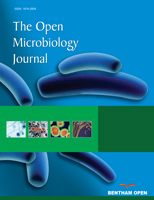 Azomonas agilis, a nitrogen-fixing bacterium, was isolated from rhizospheric soil in central Myanmar. The nitrogen-fixing activity of this bacterium was detected by plate screening method using glucose nitrogen free mineral medium and ammonium test-kit Cellulolytic activity was screened by plat assay and detected by Dinitrosalicyclic acid method (DNS). The isolated A. agilis grew in media containing 3-12% of NaCl, although the growth became poor when NaCl concentrations increased. Among various carbon sources, sucrose was the best source for ammonium accumulation of this bacterium, whereas arabinose was not the suitable carbon source. Although the nitrogen-fixing activity of A. agilis was highest after one week incubation, cellulase enzyme production was highest after 2-3 days of incubation. It was observed that cellulase enzyme activity of A. agilis for cellulose and sodium carboxymethyl cellulose (CMC) was almost the same. Three agricultural wastes were used to detect the cellulase enzyme activity of A. agilis, cellulase activity was better on filter paper as a substrate when compared to rice-straw and sawdust. So, the isolated A. agilis has high potential as an effective bacterial strain to use in sustainable agriculture and degradation of some agricultural residues. Keywords: Azomonas agilis, Nitrogen fixation, Cellulose, NaCl, Reducing sugar , Sustainable agriculture . © 2018 Latt et al.